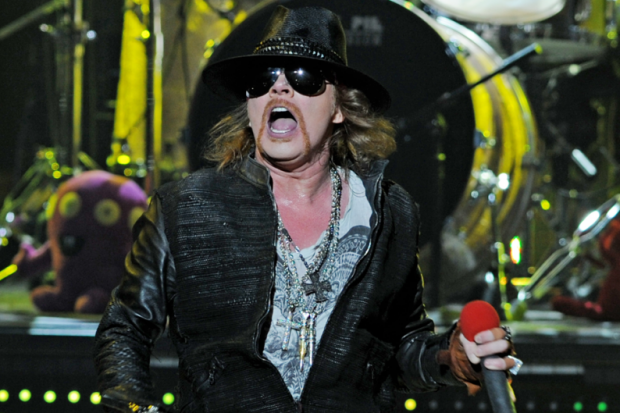 Last week, Axl Rose issued a 1,000+ word letter announcing that he would not attend the Rock and Roll Hall of Fame induction ceremony, nor would he like to be inducted in absentia. The next day, though, the Rock Hall issued a brief statement indicating they would be inducting him anyway. The event went down Saturday night in Cleveland and evidently a) Axl was booed and b) nobody actually said his name from the podium. Apparently Rose had the weekend to mull the events of the past week and posted the following (decidedly shorter) letter on Guns N’ Roses’ Facebook page and Axl’s own Twitter account, apologizing to his disappointed fans. He asked us to run it in full (see the last graph), so, here you go, Axl! Sidenote: Is the continued back-and-forth between Rose and the public more awkward than these Hall of Fame jams? Unlike my open letter to the Rock And Roll Hall Of Fame, Guns N’ Roses Fans and Whom It May Concern this was written for GNR’s official website, Facebook account and my personal twitter account and not intended as a press release. If anyone does choose to pick this up as has been done previously I’d appreciate if you’d run in full including this paragraph so as not to give a partial picture, have things taken out of context or to imply or inadvertently give the impression this was intended for other outlets.